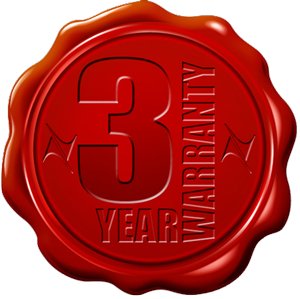 Manufacturer guarantees the correct functioning of the device during the warranty period. If the product shows malfunction during the warranty period exploitation, we guarantee repair under these conditions and within the warranty period. If your device requires warranty service, please contact the authorized service listed on the warranty card. In order to avoid unnecessary inconvenience, we suggest that you carefully read the instructions for installation and use, before you contact an authorized service. Product is not installed, used or maintained in accordance with the instruction. Product is damaged due to repair of unauthorized person or service. Damage caused by a higher force, such as thunder lightning, floods, fires, inadequate ventilation, incorrect electrical installation, or any reason beyond control of the manufacturer. Damage to the front panel device. If damage is caused by the above-mentioned reasons, the owner of the product will cover all the costs of investment services, per price list outside the warranty period. During the warranty period, warranty is extended by the time from the guarantee notification date to the moment of the removal of quality defect of the product. Extension of time on this basis can be performed by an authorized service. Removal of deficiencies, which belong to the warranty must be made within 45 days from the date of the hand on product for repair. If the repair period of the product is extended beyond this deadline, the buyer has the right to exchange it for a new product. In places without an authorized service, the cost of products shipment and delivery to the nearest service in the warranty period, will be transfered to the manufacturers guarantee costs coverage.